There hasn't been an easier argument to make since websites burst onto the business scene at the turn of the millennium. Back then, even before statistics could support the argument, the opportunities that websites presented were just too astonishing to ignore. But the bottom line was, if you wanted your business to dominate the competition, you needed a website. Marketers who make blogging a priority are 13 times more likely to enjoy a positive return on their investment. 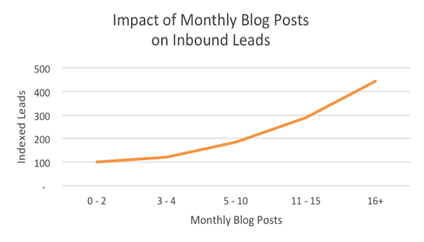 82% of marketers who blog daily acquire customers via their blog. Businesses that blog say that 54% more leads are generated by inbound marketing tactics like blogging than traditional paid marketing (TV, Radio, Print, etc). Publishing a blog article with fresh content “assures” the search engines that your website is alive and well. Each time you post a new page of content on your blog (when done properly, every post is a new indexed page on your site), the search engines take notice – and reward you for it with a nudge in the rankings. No wonder that 76% of business-to-business marketers say they will create more content in 2016 than they did in 2015. Publishing a blog article with original, high quality content on a blog similarly assures the search engines that you care about informing, educating and solving people's problems – the very objectives they share. Answering your customer’s/patient’s common questions and concerns not only ensures they will come back to when they are ready to buy, it shows search engines you are the authority in your field. Gone are the days when “keyword stuffing” on web pages was enough to bolster rankings. Today, the search engines punish websites for this mindless tactic. Publishing a blog with fresh, original and high quality content that is shared by others via social media assures the search engines of an article's relevance and authority. So it behooves a business to spread the wealth of a blog by creating a “Social rapport” with towering players in a niche and engage in reciprocal sharing of content. Both tactics can lead to backlinks, or when a website links back to your site from its own site (search engines actively crawl for backlinks). Since an original blog with fresh content is the key to higher rankings, you might wonder why an SEO company would sidestep the “yellow brick road” to success. The probable answer? It takes time, effort, talent, tenacity and creativity – traits that only the very best SEO company is poised to deliver. 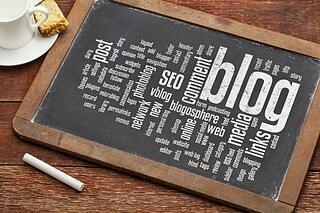 We are readily available to answer any blogging or SEO questions you may have. 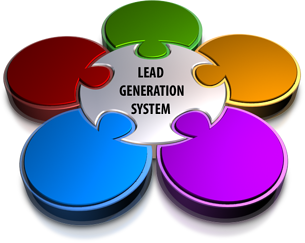 Please feel free to click the button below to start generating leads today! In the digital age some may jump to the conclusion that telemarketing is no longer an effective method for lead generation. On the contrary, telemarketing could be a very successful lead generation tool for business if the appropriate methods and processes are used. Your target audience – while there is a huge migration to online methods for generating leads, a portion of your target market may still be receptive to telemarketing. Thoroughly research your ideal customer and determine if you could still have some success through a telemarketing program. Your marketing partner should be able to assist in this research and analysis. A professional approach – the horror stories of bad telemarketing calls are abundant. By having a well-planned professional approach to your telemarketing processes you can have a more receptive audience and realize higher quality leads. Stay focused – the highest quality telemarketing companies will make calls based on preliminary research and focus on potential leads that are most likely to be interested in your products and services. Avoid paying for large quantities of phone numbers and calls from lists that are not pre-screened. Coordinate with online – stay consistent in your marketing message whether you are using online techniques or through telemarketing. By keeping the message consistent you will gain credibility in both channels and have greater success through quality leads. Keep thorough records – make sure your telemarketing provider will deliver to you a comprehensive list of good and bad opportunities. By eliminating invalid contacts you can keep a cleaner database of leads and use the information for future marketing opportunities. Build an efficient process – once the telemarketing provider has some qualified leads, what is the next step? Make sure your process for receiving leads and turning them over to your sales team is very efficient and well maintained. Monitor activity – keep track of the leads generated and the conversion rates for all of your marketing activities. With this information you can better understand what is most effective for your target audience. The best lead generation techniques for businesses utilize a combination of business savvy and online expertise. The business savvy comes in the form of knowing your customers and who your ideal clients are in terms of geography, spend, web sites visited and other demographics. The online expertise comes from using a marketing partner that can navigate through all of the technical work to make lead generation successful. What do your existing customers "look" like? Why did they choose your business? Where does your target audience reside geographically? What web sites would your target market most likely visit? Are there industry forums or online trade publications that your target market would read? Is there a particular income or revenue range? Family size or number of employees? What hobbies or related businesses would your target audience be interested in? Are you currently utilizing search engine optimization (SEO) for your web site? How effective is your content on your site in relation to SEO and your target market? Is your SEO carried into other content such as blogs, Ebooks, white papers or articles? Do you leverage social media in your marketing strategy? Would pay per click (PPC) be an effective tool for lead generation with your business? 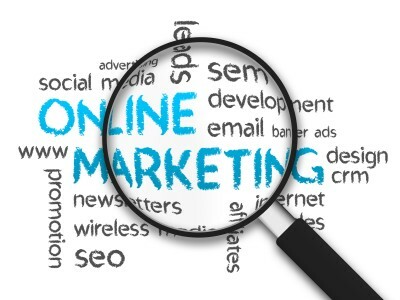 How do you measure success with your online marketing? To find the best lead generation companies you should look for marketing firms that have a comprehensive online approach that includes analytics tools and reporting to help you measure your success and help in tuning your online marketing appropriately. Once you have the right strategy in place you should notice an increase in visitors to your web site, higher quality leads, and a better conversion rate from visitor to customer. For more information please call us directly or click the button below and we will contact you. Thank you.